What are auto trading systems and where do they fit in? An automated trading system is one that allows you to “piggyback” the trades from an outside source. The source can either be a person or a piece of software that implements a certain trading strategy. When using the system, trades are replicated like-for-like into your account, allowing you to mimic the trading strategy of that provider. However no automated system is perfect and there may be transmission delays in receiving and executing orders coming from the signal, so that you don’t quite achieve the same performance as the provider. If you do decide to use a signal or expert advisor, one thing to avoid is “trading in and out” of it. As well as being a way to get started quickly, automated systems can be a useful way to learn. The advantages of learning through an automated system, rather than trading yourself on a practice account is that you get to observe and learn from existing strategies first-hand. That being said, a good amount of skepticism is needed. There are a vast number of providers out there to choose from. Some promise to deliver huge returns with little risk – these should obviously be avoided. If something sounds too good to be true, it probably is. MetaTrader offers auto trading via two different methods: Either (1) by connecting to an external “signal” which provides trade instructions, or (2) by using an expert advisor. The signals that can be used are listed on the site MQL5, most of which are software advisors running at a remote location. Some are free, and others need a monthly subscription fee ranging from a few dollars to thousands of dollars per month. Auto trading systems offer a wide variety of strategies that will suit people with different risk appetites. Signals are rated by other users and you can see the performance chart, and historical trading activity. It displays if the provider is using a practice account or a live account. In order to run the signal all the time, you’ll need to have your MetaTrader software running continuously during market hours – day and night. Or alternatively rent a virtual private server (VPS). If you’re technically minded you can create your own expert advisors using the MQL language. There’s also a huge range of pre-made systems that you can download from various websites. Some are free, but the better ones cost upwards of thousands of dollars. If you don’t want the hassle of running software on your desktop, there are websites that offer “trade copying” accounts that work entirely on their platforms. eToro’s service allows you to create a portfolio of human traders. You can allocate an amount to each trader, and you’ll receive all of their trades in proportion to your copy amount. It allows fractional lot sizes, so you can copy traders with very small amounts. 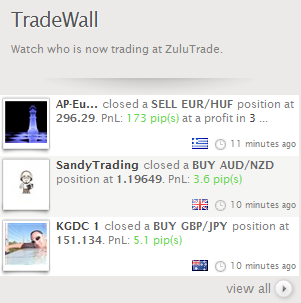 Unlike eToro, ZuluTrade lets you subscribe to trading strategies rather than traders. Each strategy has a brief description, and the popular ones have ratings from live subscribers. ZuluTrade is not itself a broker. You’ll need to open a separate broker account and link that to your ZuluTrade account. Usually this just involves signing a consent form and sending it to your broker – the account will normally be linked within a day or two. The system is partly automated in that you can’t set an allotted cash amount like you can with eToro. If your provider exceeds your drawdown, the signal can be stopped and any open positions from that provider closed. What you can do is set the maximum number of open trades and lot size per strategy. It’s more complex than eToro’s system. Be aware that if you don’t get the settings right you can over expose your account and potentially receive a margin call. This can adversely impact your returns. If you’re not sure it’s best to use the auto allocation method and to back test your signal providers with your account settings and lot sizes. There’s a simulation feature where you can back test any of the signals with your own account settings. This is useful for checking performance and volatility. Check with your broker: Another point to consider is whether your broker allows your chosen strategy. You’ll need to check this carefully. 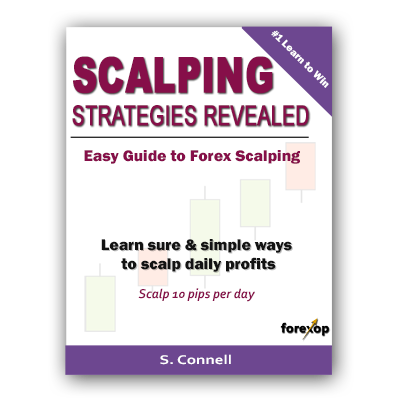 For example, some brokers don’t allow scalping as it involves sending rapid, high-throughput orders to their servers which can negatively impact other users. Capital protection: ZuluTrade also has a capital protection system which runs in the background when switched on. This feature lets you limit the loss of any single provider like a trailing stop. If your signal provider has a drawdown, greater than your pre-set trailing stop, the signal can be stopped automatically and any open positions from that provider closed (for a more detailed description of ZuluTrade see here). The advantage of ZuluTrade and eToro is that these systems run within their own managed platforms. If you use a 3rd party signal, such as MQL5 generally you’ll also need to buy VPS hosting so that your trading program is running continuously. Alternatively, you can choose one of the brokers that offer free VPS hosting to their clients. If you try to use your own PC at home to run an advisor, this can be risky because your trading may be interrupted at critical times by power outages, crashes and so on. If your strategy is not operating during important market events, you risk stop losses being overrun (some algorithmic systems apply stops dynamically – these can be very risky to run at home), and profitable trades not being executed. When deciding to use an automated trading system, one thing to avoid is “trading in and out” of it. It can be a temptation to switch to another signal that seems to be performing better, however this is not generally a good idea. 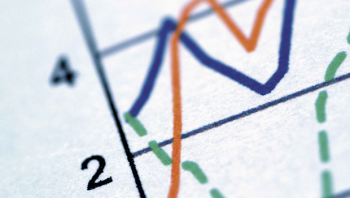 Although tempting to quit, it’s important to remain invested during normal drawdown periods. Be aware that drawdown is an expected and unavoidable part of most strategies. Those who “trade in and out” of their expert advisors typically make the same mistakes they do when trading directly. That is chasing profits that have already been realized, selling in troughs and buying in peaks. The important caveat is that past performance is not a guide to the future. Many followers enter after the signal has delivered its most significant profits, and they exit after it has made its most significant losses. In other words, chasing the money, after the fact. It’s best to set a review period either fortnightly or monthly, and review the performance of your strategies against your own goals. If at that time any are not meeting your expectations, then quit. Above all remember that it’s your own responsibility to determine the suitability of any signal or expert advisor before placing your money with them. Carry trading has the potential to generate cash flow over the long term. 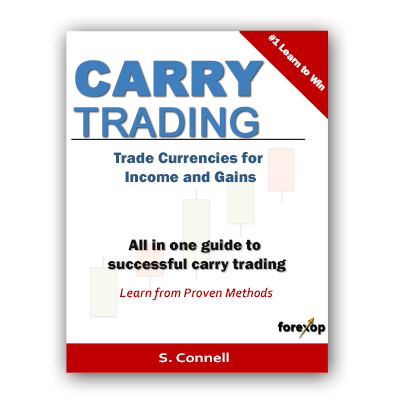 This ebook explains step by step how to create your own carry trading strategy. It explains the basics to advanced concepts such as hedging and arbitrage.